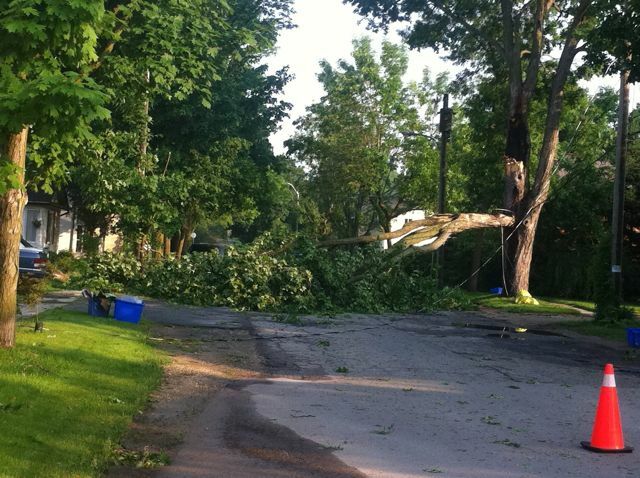 Crazy midnight storm rips through Wellington County last night (June 7). Even though Mother Nature might have had different plans, we were stll Thinking Mach One this morning. 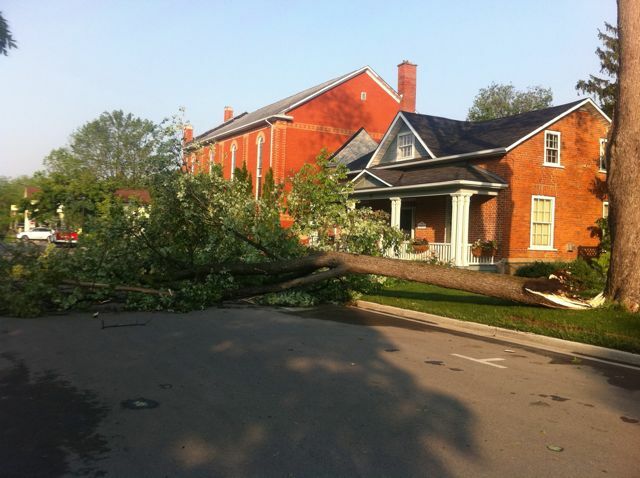 Tree down in front of Mach One headquarters in Elora. The reason for a shortage of morning power.